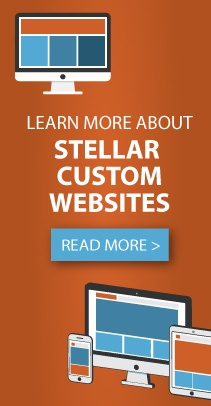 Stellar Blue Technologies, a Fox Valley, WI digital marketing firm, has launched a new custom website for Plum Dental. Located throughout Rhode Island and eastern Connecticut, Plum Dental provides patient-focused and clinician-led dental services to ten thriving practices throughout the area. We are proud to have played our part in revitalizing the look and feel of their image! Beautiful healthy smiles meets gorgeous mobile-responsive website. The home page for Plum Dental greets visitors with a full-screen hero section featuring rich visuals and calls to action. Beneath this are three sections that automatically snap to alignment while scrolling. Among them is a bold rotating panel of testimonials, and responsive callout of facts and figures that tabulates before your eyes once a viewer hovers over that section. A prominent embedded contact form and find a locationpin guide visitors to what they’re looking for with ease. Plum Dental takes pride in staying true to their local values, and maintaining a small-town dental office feel. True to that point, their website features local imagery and testimonials that highlight what their communities are all about. By being a go-to source for information for medical professionals and patients of all ages, Plum Dental is sure to give their patients stellar smiles for years to come! Visit their new website and tell us what you think!